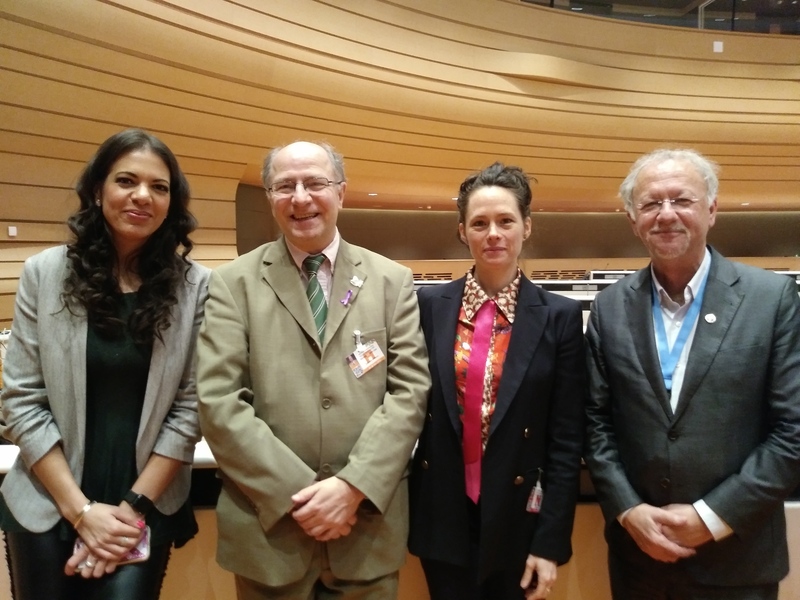 On 29-30 November 2018, John Packer, HRREC Director and Neuberger-Jesin Professor of International Conflict Resolution, and Jocelyn Kane, HRREC doctoral student member and Executive Director of the Canadian Centre on Statelessness, attended the 11th session of the United Nations Forum on Minority Issues which was this year on the theme “Statelessness: A Minority Issue”. A record 600 participants attended, including governmental and non-governmental representatives along with academics from throughout the world. The Forum was organised around panels, the first of which was moderated by Professor Packer and addressed the root causes and consequences of statelessness; subsequent panels discussed the affects of conflict and forced migration on minorities and ways of ensuring the effective enjoyment of the right to a nationality (notably for minority women and children). Guided by the UN Special Rapporteur on Minority Issues Dr. Fernand de Varennes (from New Brunswick)) and Ms. Rita Izsák-Ndiaye, member of the UN Committee on the Elimination of Racial Discrimination, we learned of the intersectionality of issues relating to the statelessness of minorities including gender, poverty, persecution, racism, and systemic and structural barriers. Professor Packer provided a brief summary of his moderated panel while Ms Kane submitted a statement calling on Canada to define statelessness in its citizenship and immigration law, and establish a statelessness determination mechanism in order to reduce statelessness in Canada. Read the Statement of Professor John Packer to the 11th UN Forum on Minority Issues (PDF). Read the Canadian Centre on Statelessness Statement (PDF).